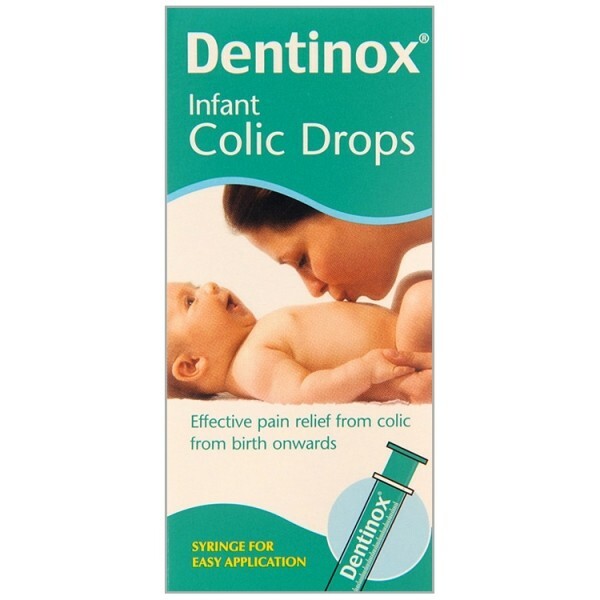 Dentinox Infant Colic Drops is an oral suspension which gives effective relief from the pain and discomfort of infant colic from birth onwards. Containing dimethicone it works directly in the stomach dispersing the trapped wind causing the colic. Pleasant tasting it can be given either directly from the syringe with or after each feed or added to a baby's bottle. Translucent white emulsified liquid with aroma of dill containing in 2.5ml: Dimethicone activated (Simethicone) 21mg. Always read the information provided on the packaging and enclosed Patient Information Leaflet before taking this medicine.